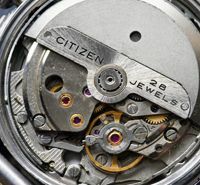 Should the Citizen 8110A and 8100A Chronographs Be Left Running? 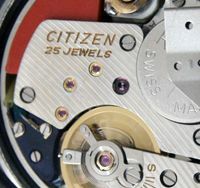 ‘……when the chronograph is turned off, the two parts of the chronograph runner have friction between them, since the large wheel must turn for the movement to run, and the chronograph hand does not move. 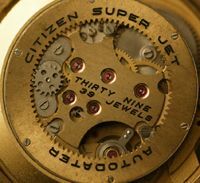 Running the chronograph eliminates the friction between those 2 parts, but adds other loads such as the friction between the 2 ends of the shaft that the chronograph hand is attached to (one end in a jewel, the other in the tube of the center wheel). Also, there is the added load of the minute counter ticking over. Not sure I would say off or on has the most load – I would have to have the watch on the timing machine and measure the balance amplitude in both cases to confirm if one has more load (and lower balance amplitude) than the other. I’ve amended the Chronographs page to include this advice. 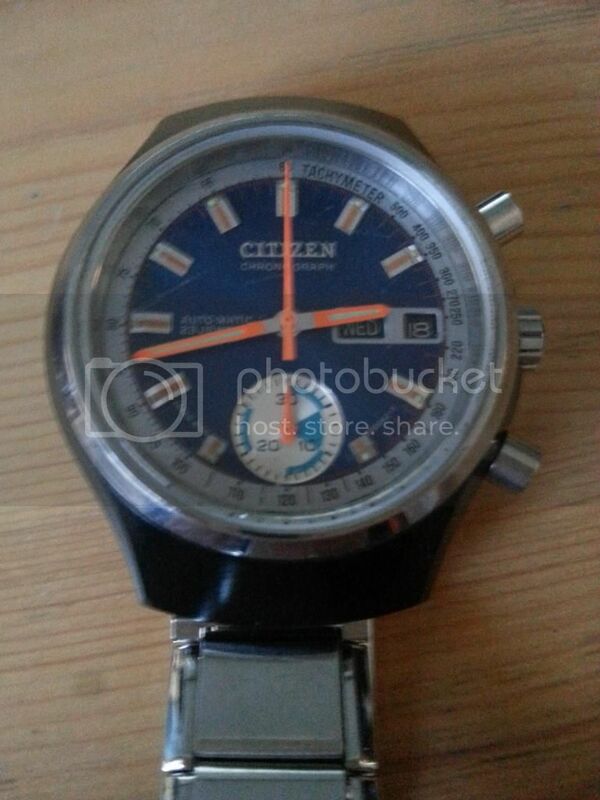 This entry was posted in Vintage Watches and tagged Citizen Vintage Chronographs, Vintage Citizen Chronograph 8100A, Vintage Citizen Chronograph 8110A, Vintage Citizen Watches. Bookmark the permalink. 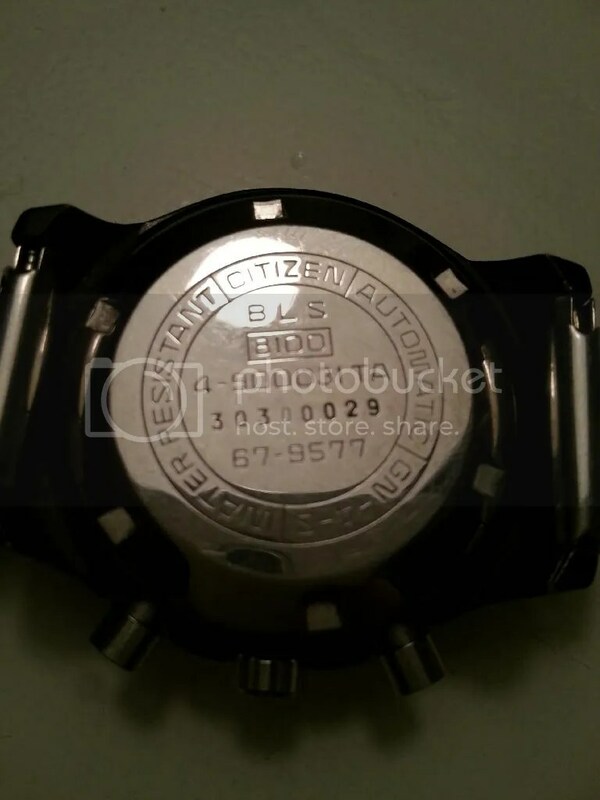 12 Responses to Should the Citizen 8110A and 8100A Chronographs Be Left Running? Un reparador de reloj puede confirmar el problema, pero si el embrague está agarrado necesitará encontrar nuevas piezas – probablemente de un reloj de donantes. Si se ejecuta con el cronógrafo en el reloj, entonces ¡ de esa manera, especialmente desde que las partes son difíciles de encontrar. Thank you so much for all the info on these watches. My grandfather had an 8100A which is still in working condition, so great you provide some of the watch’s history. Thanks again for all the information about the watch! Hi Bram, thanks for visiting my blog, and for your kind comments 🙂 Great to hear that you still have your grandfather’s watch which I presume he has had from new. And it certainly is in very good condition, especially the black case since these are often fairly worn when they come up for sale these days. Do you mind me asking when and where your grandfather bought the watch? You are very welcome! I believe he got it as new too, my grandfather also participated in sailing races and always used this watch and the chronograph function. So you can understand as this watch belonged to and was frequently used by my grandfather it has a lot of emotional value apart from the fact that it’s a great watch. Unfortunately I am not aware when or where the watch was bought. Altough I guess it was in a jeweller in The Netherlands. And as far for when I really don’t have a clue apart from the lifespan you have described. Hi Bram – thanks for the picture of the back (made in March 1973) and for the extra info. I’m even more impressed with the condition of the watch when I see that your grandfather used it when sailing. Great you can see the manufacturing date, it is the 303 number? Indeed the fact that it had been used so much in sailing and is still is in such a good state is great. If you’re ever in The Netherlands, we can get a coffee and you can see the watch in real 😀 ! wow thanks for the explanation, great they use such a system so we can track them until the exact manufacturing date. As I too was curious when and where my grandfather got this watch I did a bit of research and also called with my grandmother. Unfortunately I am not totally sure, but most likely the watch is purchased at the Dutch jeweller Brunott http://brunott.nl/ . The standard jeweller my grandfather went to in the time didn’t ever sell citizen, Brunott however is still a citizen dealer and was the standard place to go to for my grandfather’s mother. Unfortunately Brunott can’t look back in their files for more than 15 years ago (because of change of ownership) and there is no one from the time still available. But everything combined I think the watch was a gift to my grandfather received from his mother. For the coffee, you can see my mail right? If you send me a message once you are in the neighbourhood I’ll get you a freshly ground one. Hi Bram, the case material code is also useful (BLS on yours) since this should match the case, i.e. black with steel bezel. Sometimes the wrong back has been used, and the case material code will give the game away when it doesn’t match. Thanks for the update on your research 🙂 These models were marketed in Europe in the 1970s, so it’s very likely that yours was bought in the Netherlands. 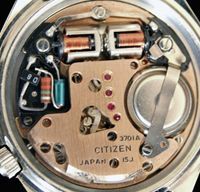 Very interesting picture explaining why there is wear when chrono is off and how it engages when on. 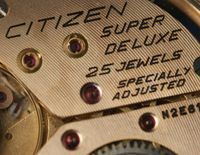 I suspect Seiko 6139 chrono assembly is very similar with Citizen’s so the same observations apply. What I find interesting is that Al believes that the balance amplitude actually goes up (instead to become smaller as it is the case with horizontal clutch). Maybe this tells us that the power reserve will actually be longer when chrono is running. I will have my first bullhead shortly and I will do some tests. I will let you know the result.